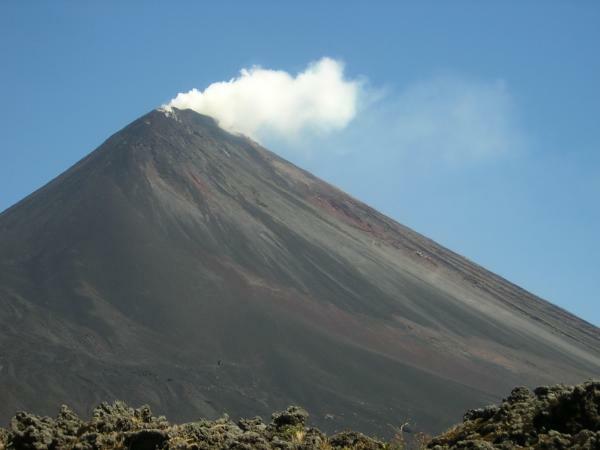 Volcan Pacaya is an active volcano, a couple hourseast of Guatemala City. It's a popular volcano to climb because it's not too difficult and, on sunny days, the views are incredible (though I've heard that you can't count on the weather being good in that area). The first hour and a half of the hike take you along a not-too-steep trail through lovely greenery and farmland. The last 45 minutes are a little more difficult, ascending the barren, moon-like cone. Once at the top, you can't see any lava due to the noxious sulfuric fumes spewing from the volcano, but the steam is nice to watch as long as the wind doesn't blow it into your face.